Anna Tyrrell is a Surrey based interior designer with clear vision of what her clients want and her attention to detail is second to none. 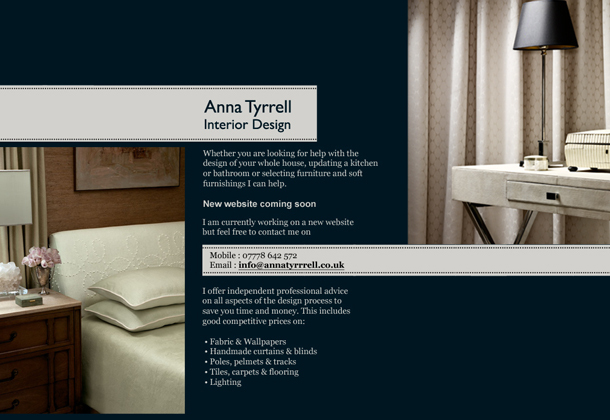 Anna’s website is a work in progress but it was very important to her that when potential clients went to her website they did not just see “website coming soon”. Thus we have designed a functional but stylish holding page which will tide her over until the project is complete.